This is something that I personally appreciate and am thankful for. Thank you, the developers of Secrets of the Dark: Mystery of the Ancestral Estate Collector's Edition, for making it about a man helping a woman in need (and not the other way around). The story is actually very interesting and addictive as you find out more and more about certain events. Helping this lady requires your knowledge and experience in dealing with strange cases. You will have to go down to the Mideterenian to explore an anciant family estate as well as its secrets. The fate of this lady is in your hands. What a noble thing to do! We need more of the scenarios like that. Anyways, the story is presented through some beautiful and impressive graphics. Everything is clear and detailed and fits the place, time, and context. The voice overs and the music are great and contribule a lot to the general atmosphere. 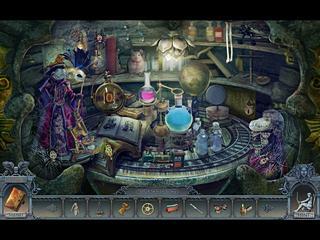 The game play follows the pattern of the genre. There are three modes of difficulty to choose from. There's a lot of hidden object scenes. You either find items in the scene or place them back into it. If you get stuch, you canuse a hint, which is also available outside of the HO scenes. The mini-game are very enjoyable if you are really looking for something new. They are also quite challenging. Maybe, they will be a bit frastrating for some players. It depends on the experience. Unfortunately, there's no collectibles or achievements to persue as you play, but you do get some bomus content after you complete. The game is fun to play from start to end. Even though it does not have the additional tasks like collectibles, it is really enjoyable as it is. 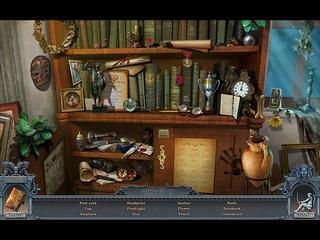 This is Secrets of the Dark: Mystery of the Ancestral Estate review. Download this game here.